Best suited for solid doors that do not have glass panes on or near the door. 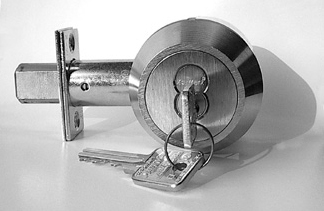 A key is used on the outside to lock and unlock the door. On the inside a large, easy to use, thumbturn will lock and unlock the door. 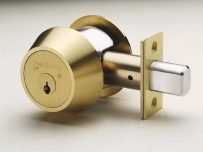 Recommended for use on residences where quick exit is required, from the inside without the use of a key.